The Instituto Tecnológico de la Energía (ITE) together with JAP Energéticas Medioambientales S.L. and INDETEC concluded the development of a new technology that aims at obtaining hydrogen from aluminium and ammonia wastes. 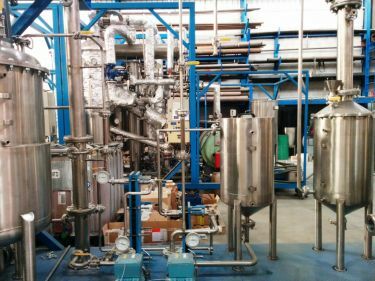 The main objective of project H2ALRECYCLING was the obtainment of hydrogen from industrial aluminium waste, by a process based on the reaction between aluminium and water. The hydrogen produced will supply a fuel cell that will generate energy for different purposes. It has been tested that the use of hydrogen is a viable, profitable and clean alternative with expectations for the future, which can be a turning point in the use of energy as it is currently conceived, bringing society a little closer to a feasible solution. This Project requires a pilot plant to study and optimize the process variables. The construction of the plant, installed in the Valencian locality of Pedralba, is part of the Life European Project and is there where corresponding testing has been realized. The obtainment of hydrogen cleanly and without greenhouse gas emissions will soon be a reality. Nowadays, fuel cells and hydrogen are used in defence sector, telecommunications or in space, but gradually and thanks to projects like this, new technologies are used in areas that are closer to the society. This Project is a technological challenge for the whole Consortium, but it is mostly a future opportunity around which many companies, both national and international, organize their R&D programmes.